Become a Featured Business Partner TODAY! Newport Beach City Guide is sponsored by Orange County Property Management Firm, proudly serving Orange County, California. Orange County Property Management Firm is the Official Newport Beach City Guide Property Management Company. Newport Beach City Guide is sponsored by Community Partners Realty, Newport Beach. Community Partners Realty is a family owned, independent Real Estate Brokerage serving Southern California for over 25 years. 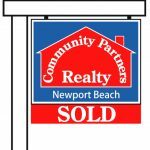 Community Partners Realty is the Official Newport Beach City Guide Real Estate company. Newport City Guide is sponsored by Treasury Funds Home Loans, Newport Beach. Treasury Funds is an independent mortgage brokerage proving residential mortgage loans since 1994. Treasury Funds is the Official Newport Beach City Guide Mortgage Brokerage. Newport Beach City Guide is proud to be sponsored by LocalCommunicator.com, our local communicator. They are a localized marketing company and are Newport Beach City Guide's official marketing company. So glad to be welcoming Success Builders as a Featured Business Partner. Success Builders Construction is a General Contractor serving South Orange County, Ca. Success Builders Construction is our official General Contractor.